James O’Toole is the author of seventeen books, including Work in America and Vanguard Management. Professor Emeritus at the University of Southern California’s Marshall School of Business, and Founding Director of the Neely Center for Ethical Leadership. 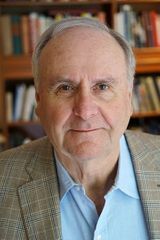 While at USC, he held the University Associates’ Chair of Management, served as Executive Director of the Leadership Institute, and editor of New Management magazine.